Will you still be onboard these Singapore food trends in 2019? From truffle-infused gourmet foods to Instagram-worthy rainbow desserts, will you still love these food trends tomorrow? There’s no denying that Singaporeans are crazy about food and – let’s be honest here – eating is one of our favourite pastimes. 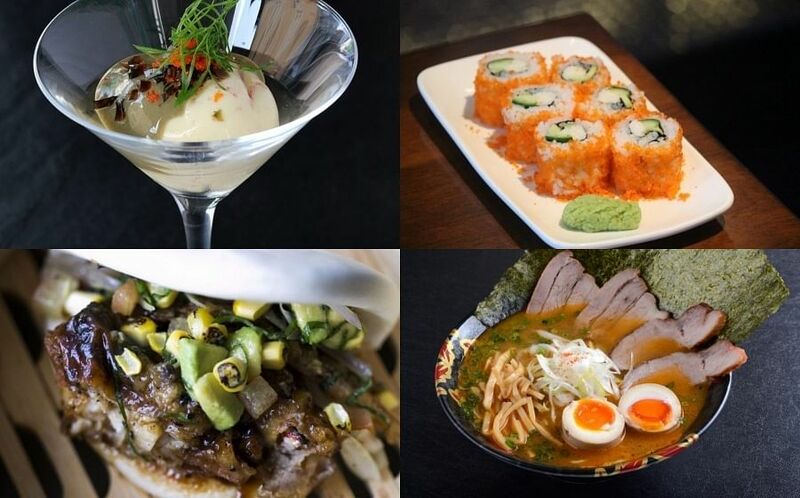 This has, in turn, led to a plethora of food trends on our little island; some have been a huge hit, while others came and went faster than a blink of an eye. Here’s a rundown of 10 crazy food trends in Singapore that we still haven’t fallen out of love with, and where to get your fix. While the salted egg yolk flavour is a little rich for some people’s palette, it has, nevertheless, been on the foodie scene in the past three years or so and it doesn’t look like it’s going away soon. This trend has become so popular that even McDonald’s has jumped on the bandwagon, with its limited-edition Salted Egg Yolk Loaded Fries, launched on Jan 3. If you’re more of an onion rings fan, try the salted egg yolk onion rings at The Refinery. Salted egg snacks have become extremely popular too, from cookies to tarts and even ice cream. But snacking on flavoured chips will hit that sweet spot too. The Golden Duck is one of the best in this category; it does salted egg yolk potato crisps as well as salted egg fish skin crunchy chips — all of which are highly addictive. You could always end your meal with this trendy flavour too. FATCAT Ice Cream Bar combines its delicious crispy charcoal waffles with your favourite ice cream flavours, topped with their unique salted egg yolk sauce. The Refinery is at #01-02, 115 King George’s Ave, Singapore 208561, tel: 6293 1204. FATCAT Ice Cream Bar is at #01-25, Blk 416 Bedok North Ave 2, Singapore 460416, tel: 6241 0830. You can get The Golden Duck’s snacks at these outlets. It might sound like something you’d only consume if you’re in the military, but this dish is the kind of comfort food you’ll be craving for after trying it just once. Officially known as ‘budae jjigae’, it got its nickname as it was first invented when Koreans cooked a dish from the food left over by the American military during the Korean War. Ingredients include instant mee, sausages, luncheon meat and tofu – and the spicy soup is one of its best bits. There are several Korean restaurants here that serve this dish well; Seoul Jjimdak and 8 Korean BBQ are good choices for newbies, who will definitely be going back for more. Seoul Jjimdak is at #05-04, City Square Mall, 180 Kitchener Road, Singapore 208539, tel: 6634 2668. 8 Korean BBQ is at #02-79/90, The Central, 6 Eu Tong Sen Street, Singapore 059817 and #04-20/21, Shaw Centre, 1 Scotts Road, Singapore 228208. If you’re a fan of cheese, you’re definitely the diner who gets excited every time this cheese wheel is brought out in restaurants. And you’re not alone. Creamy, rich and hearty — what’s not to like? Get your cheese fix in the heartlands at Flavour Flings, which serves a number of dishes with it, such as steak & raclette, chicken cutlet with raclette, and cheeseburger and raclette. Wine Universe is the place to go for some relaxing wine and cheese; you can get one serve of raclette or go for the free-flow option. Or better yet, get a meal to line your tummy before sipping on some wine, by enjoying the raclette cheeseburger. Flavour Flings is at #01-1348, Block 121 Hougang Avenue 1, Singapore 530121, tel: 6286 0051. Wine Universe is at #01-109 Millenia Walk; 9 Raffles Boulevard, Singapore 039596, tel: 6338 0717. Singaporeans have loved fried chicken for ages, whether we get it from the local nasi padang stall or in its prawn-paste incarnation. We’ve seen chain restaurants pop up in recent years too, such as Chicken Up and 4Fingers Crispy Chicken. But it’s not just fast-food style fried chicken that’s popular, Korean and Japanese flavours are hot too. Kindori Japanese Craft Chicken & Beers is a lovely place to while away a few hours and indulge in some delicious food too. And if you like your food endorsed by celebrities, pop in to ex-Singapore Idol Taufik Batisah’s latest venture, Chix Hot Chicken. Specialising in Nashville-style fried chicken, it’s especially recommended for those with a love of spicy food, as you can choose the level of hotness you’d like to try, or just go for the ‘original’ flavour if you’re not the adventurous sort. Kindori Japanese Craft Chicken & Beers is at #01-11/12, 30 Victoria Street, CHIJMES, Singapore 187996 tel: 6352-1966. Chix Hot Chicken, is at 1 Jalan Pisang, Singapore 199069. With the perpetual hot weather in Singapore, it’s no wonder that we’re crazy about drinks, especially practically anything that’s served cold. Brown sugar drinks are on trend right now, and it’s not just regular bubble tea fans who are loving them. These popular brown sugar drinks are made with fresh milk, brown sugar syrup and pearls, and it appeals to consumers of all ages, probably due to the fact that they don’t contain caffeine. 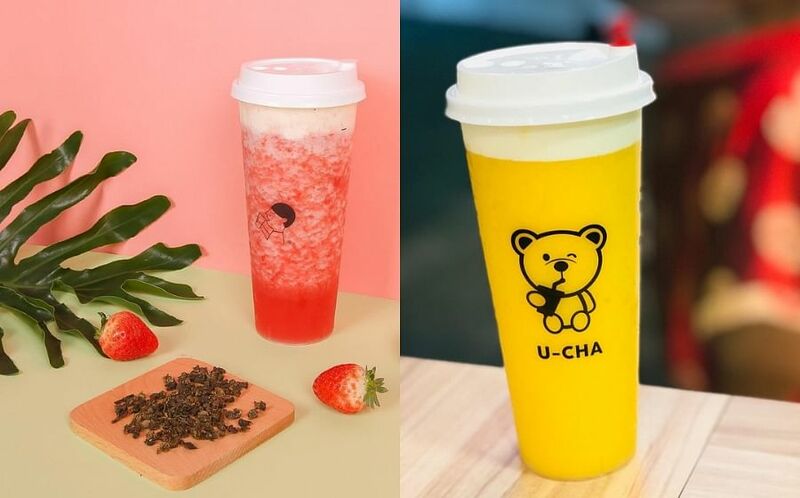 Taiwanese bubble tea chain Tiger Sugar is undoubtedly one of the most popular spots to get your fix. Other must-try places include Bobii Frutii, MuYoo and LiHo. Whether you shake it before drinking or enjoy tasting the flavours slowly mixing together, there’s no doubt that this drink is here to stay. Tiger Sugar is at #B2-32 Capitol Piazza, 13 Stamford Road, Singapore 178905 and #B1-42 Chinatown Point, 133 New Bridge Road, Singapore 059413. This flavour has especially enticed diners who love their food hot, as ‘mala’ in Chinese translates to numb and spicy. It started with mala hotpot but it has since diversified into various forms of this flavour. The most interesting incarnation is the range of snacks. Mala Mala is a homegrown brand that sells crunchy hand-cut mushroom chips and potato wedges in levels of spiciness that will keep everyone happy – Mild Spicy, Super Spicy and Crazy Spicy. 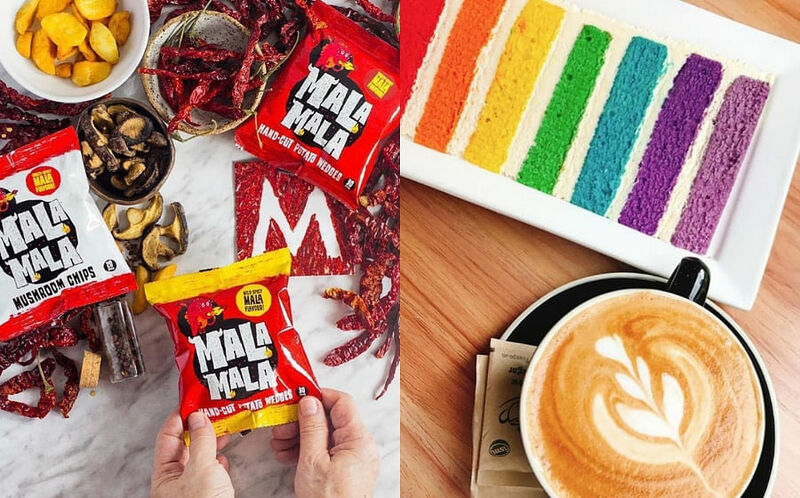 Another local brand Ooh offers Mala cassava chips, mala crab sticks and mala peanuts — all of which are mouth-numbingly good. If you’re looking for something more filling, try the Mala Crispy Roasted Chicken from Crystal Jade Jiang Nan, a winning combination of succulent meat and crisp skin, served in a moat of homemade piquant mala sauce that’s sweet, savoury and spicy. Mala Mala is at #B1-32, The Paragon, 290 Orchard Road, Singapore 238859 and #02-95, VivoCity, 1 Harbourfront Walk, Singapore 098585. Ooh is at Level 6 (Outside Kopitiam), Plaza Singapura,68 Orchard Road, Singapore 238839. Crystal Jade Jiang Nan is at #01-52, VivoCity, tel: 6221 1830. A rainbow may be a rare occurrence but rainbow foods are definitely easily found all over Singapore. Thankfully, the food versions are as Instagram-worthy as the ones created by Mother Nature so you’ll definitely be styling and snapping away before you enjoy them. Rainbow cakes dominate this trend and I Am has a delicious version – its Signature 7 Layers Rainbow cake is probably the tallest version you’ll find here. If you’re more adventurous, try their Rainbow Mille Crepe Cake. The Jelly Hearts adds a twist to the concept of rainbow cakes, with its Signature Multi-Layer Rainbow Jelly Cheesecake. It’s exactly what you’d expect from its name – a cheesecake and jelly, in coloured layers. It’s one of those things you’ll have to see to believe but once you get a taste of it, you’ll wonder where it has been all your life. I Am is at #01-01, 674 North Bridge Road, Singapore 188804, tel: 6295 5509. The Jelly Hearts has various outlets, visit here for more information. Not only are these drinks absolutely delicious, they’re also so pretty that you’ll want to try them all – and post the gorgeous photos on Instagram, of course. Actually, we use the term ‘drinks’ loosely as some of them are as filling as a meal so make sure you try them on an empty stomach for ultimate satisfaction. Black Tap Craft Burgers and Beer is the ideal place to gather some friends and catch up over milkshakes, with its laidback vibe and old-school tunes. You can order a Classic Shake (which is available in several flavours) or choose one of their Crazy Shakes. With names like Bam Bam Shake and Cookies N’ Cream Supreme, you’ll definitely have fun exploring all the various flavours within them. Australian cafe The House of Robert Timms serves good coffee and food but their range of Over The Top Milkshakes (yes, that’s how they’re listed on the menu) are worth a try too. Black Tap Craft Burgers and Beer is at L1-80, Bay Level, The Shoppes at Marina Bay Sands, 10 Bayfront Ave, Singapore 018956, tel: 6688 9957. The House of Robert Timms is at #01-02/03, Wheelock Place, 501 Orchard Road, Singapore 238880, tel: 6735 9201 and #B2-11, Marina Bay Link Mall, 8A Marina Boulevard, Singapore 018984, tel: 6509 8117. Some people prefer their cheese melted and hot – and didn’t know this until they gave in to the cheese hotpot trend. Melted cheese is no longer just for nachos and pizzas, it’s also an exciting dip for meats and seafood. Think traditional hotpot, with a section of melted cheese, to give that added ‘oomph’ to your meal.Still not sold on it? Try it at Flame Cafe, an unassuming dining spot that has an extensive menu to choose from to satisfy your next hotpot craving. Its 4-Tier Pagoda Steamboat is the option to go for, and its choices of dip are cheese, salted egg and Mongolian sauce. Bring a few friends! Another option is Cheese Story Mookata Buffet, where you get to dip a wide variety of seafood, such as prawns, scallops and oysters, and marinated meat into a piping hot cheese broth made of nacho cheese and mozzarella. Everything is free-flow, and to prevent you from feeling too overwhelmed by the dip, a light chicken stock also accompanies your mookata pan. It’s open until 6am — great for satiating a late night craving. Flame Cafe is at Level 1, 73 Upper Paya Lebar Road, Singapore 534818, tel: 6288 6346. Cheese Story Mookata Buffet is at #02-01, 5001 Beach Road, Golden Mile Complex, Singapore 199588, tel: 8678 7876. We fell in love with food – especially fries – cooked in truffle oil and it seems like we still can’t get enough of truffle. You can now find this flavour in foods such as noodles, rice and even meats. But if you’re still hankering for some good old-fashioned truffle fries, the Truffle Shoestring Fries at PS. Cafe is a good choice. Topped with grated parmesan, even the aroma of this dish is satisfying. For something different, try the Truffle Parma at Knots Cafe & Living, which is known for its hearty food and unique hand-crafted pieces. This dish – spaghetti, prosciutto parma ham, button mushrooms, baby spinach, truffle cream sauce – is one of its most popular on the menu and you won’t be disappointed. PS. Cafe is at various locations, visit here for more information. Knots Cafe & Living is at #01-07, 160 Paya Lebar Road, Singapore 409022, tel: 68170383.